Hi everyone! Sorry again for the late update. It was a very busy weekend, and I’ve finally had a moment to take time to post. Yesterday, while teaching Sunday school to my early elementary kids, I finished a month long lesson on friendship. We learned a lot about what it is good friends do – forgive one another, be there for each other, etc., but yesterday’s lesson was one I had been looking forward to since the unit began: friends encourage one another. Anyone knows that words can make or break us. Like the Scriptures relate, words can build us up or tear us down, and we need to be wise with the words we use, especially when those words are aimed at other people. 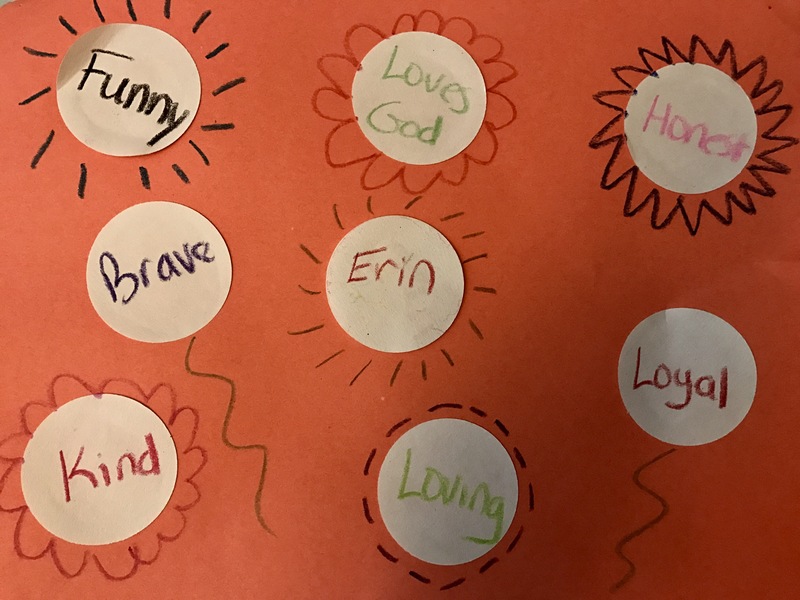 I can’t be the only one who has noticed that there’s been a lot of not-so-nice words being used lately (especially on social media), so with my Sunday school kids, I wanted to make sure they learned how they could use their words to encourage. First, we learned about the story of Job and how his friends responded to all the bad things he went through. If you know the story, you know that in the long run, Job’s friends weren’t the most encouraging. They said some pretty mean things, even so far as blaming Job for not loving God enough or secretly sinning to cause so much heartache in his life. Now we know, in the story, that Job was completely innocent and God blessed him double in the end after he had went through everything, but (as I asked the kids), could you imagine how Job felt hearing his friends’ discouragement? How did those unkind words effect him, and what could’ve been said instead to make him feel more encouraged? After our story, we went back to our tables and decided to do a special project. This was going to exercise the kids’ abilities to think of kind words for their fellow classmates as well as give them some extra practice with using kind words to encourage. First, they chose a piece of construction paper with their favorite color. Next, they were given a cut out of a circle where they had to write their name on it. After they wrote their name, they glued it on the center of the construction paper. Next, we listed some kind words on the dry erase board that could be used to describe someone. Examples include “kind”, “funny”, “loves God”, “loyal”, “true”, “honest”, “brave”, etc. After that, I handed out more blank circles, and then we went around the room. I pointed to the child in the first seat and instructed the kids to write down a kind word that described that child. They could use a word from the board or they could come up with their own (one of the kids wrote “cool” as an example.). When they were done writing their word, they were instructed to hold up their circle for me to collect. After I collected the circles, I gave them to the child we talked about. That child would then glue the circles on their paper and decorate it. We repeated those steps until we said encouraging words about everyone in the room. What I enjoyed about this project wasn’t so much the fact that the kids got to practice using kind words (to be honest, they already knew a lot about kind words to begin with), but the reaction they had when seeing what kind things others had to say about them. It was priceless! There were smiles all around the room, and some even mentioned how glad they were to hear such kind things said about them as they had heard some mean comments from classmates at school. The project was a huge reminder at the power of our words and just how important encouraging can be. How can you be an encouragement to those in need today? This entry was posted on September 25, 2017 and tagged character building, character education, early elementary, early elementary teaching ideas, education, encouragement, job in the Bible, kind words, Sunday school, teaching, Writing.